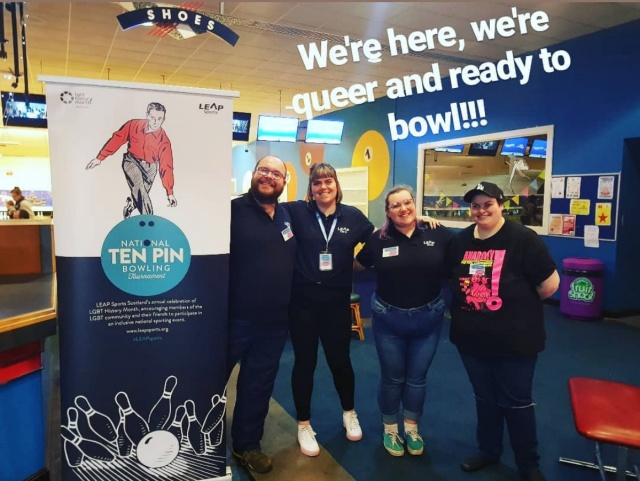 This February we hosted our Annual LGBT History Month Ten-Pin Bowling Tournament, with more faces and more fun than ever before! For the first time this year, we hosted a community tournament for our clubs in the East, playing for the East Community Cup. 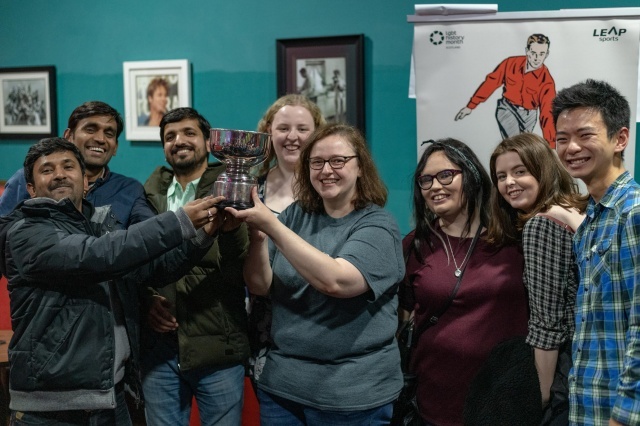 The tournament was attended by members from HotScots F.C., Edinburgh Frontrunners, and Colinton Squashers, with the Trophy going to the Pin Heads team! 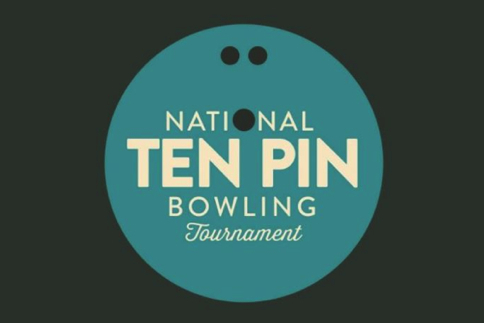 We're so excited to add this new event to our growing Ten-Pin Bowling calendar, and can't wait to see more of our clubs in the East battle it out next year! On Saturday 16th Youth groups from Lothian, Dumfries, Ayr, and Forth Valley came together in Falkirk to compete for the Youth Cup. It was a great day, and wonderful to have so many young people involved. In the end the Cup went to VADA, from Lothian. Thanks to all of the LGBT Youth Scotland youth group workers who brought along their young people, and helped make the event a success. 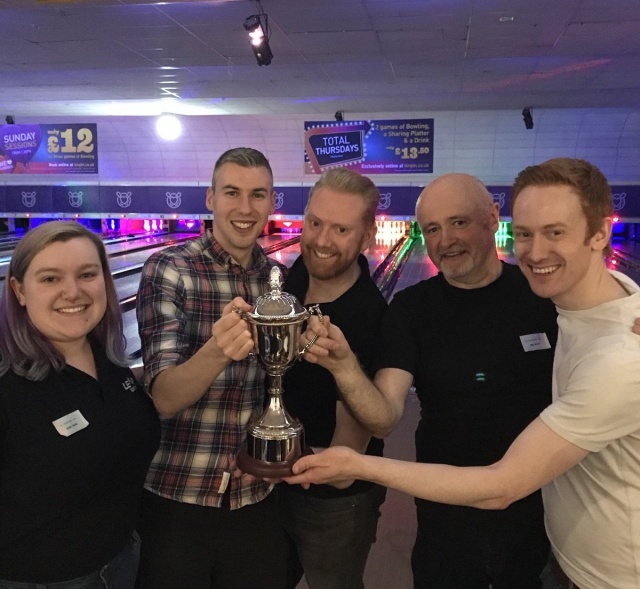 In the evening, Corporate teams and Community groups joined in Glasgow to compete for the Corporate and Community Cups. with J.P. Morgan coming away with the Trophy. Ultimately, the money made from the Corporate Cup funded all of our young people to take part in the Youth Cup, so it is incredibly exciting to see so many organisations get involved this year to celebrate our LGBT History, and look towards our LGBT Future! Finally, our West Community Cup had entrants from Glasgow FrontRunners, Saltire Thistle F.C., and Proud Huddle C.S.C. 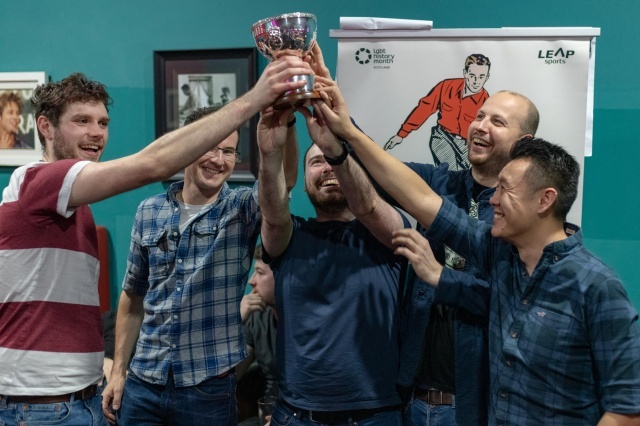 It was a close race, with Proud Huddle in the lead after the first game, but the team from Glasgow FrontRunners inching their way to victory overall. 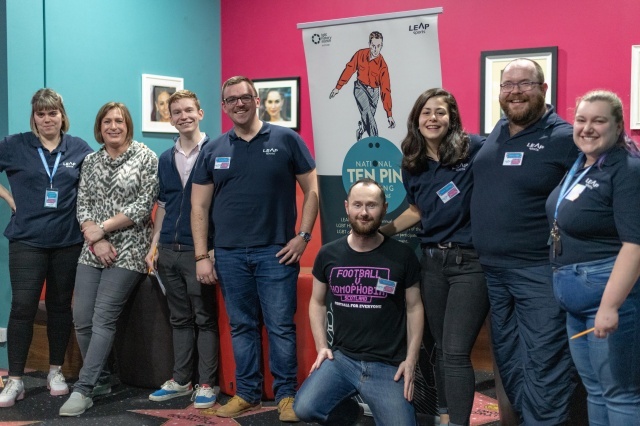 A huge thanks to all of our young people, youth group workers, community groups, and corporate organisations for coming together to make LEAP's 2019 LGBT History Month celebrations a huge success. We can't wait to see all of you back next year! Written on 26th March 2019.